It’s a good thing I don’t give a flying flip about the World Cup. 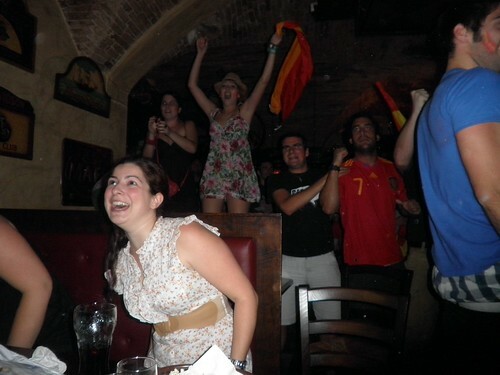 In Switzerland, I supported Germany, but last night I watched the game with a bar full of Spaniards, so of course I changed my allegiance (though I secretly cheered for Germany until they started faking too many injuries). Spain wins! A big party followed in the piazza after the match. 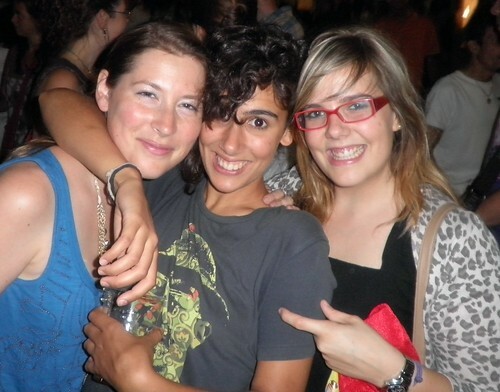 Me and my adorable roommates: Nerea and Cristina.